This past month has been a real eye-opener for me. I found myself around new people, new places and new beverages. 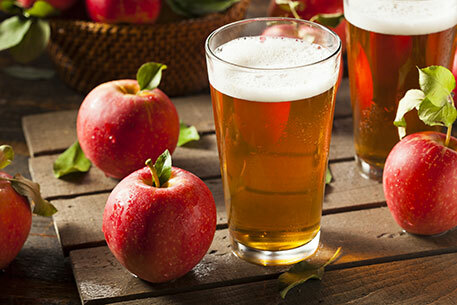 One thing became clear: The choices in ciders have dramatically expanded lately. Ciders have so much going for them. Most, depending on what is added to them, are gluten-free. They all begin as fermented pressed apple juice, and that’s just fine, but it can also serve as a wonderful base for additional pressed fruits, spices, flowers or whatever else the cider maker wishes to add to them. Below are five of my favorite local cideries and some examples of the ciders they produce. Angry Orchard / Walden, N.Y. This Sam Adams-owned cidery is, by far, the largest of the five producers on this list. I included it not only because Sam Adams got its start right here in Massachusetts, but because it makes one of my favorite ciders, which is available just about everywhere with a liquor license. Crisp Apple is a 5.0% ABV cider on shelves just about everywhere. It is a semi-sweet cider that will please just about everyone. It has a solid apple flavor that stays right to the end, with some residual sweetness that just about everyone will enjoy.There are many other varieties to choose from; don’t be afraid to experiment. Purists. What else would you call the people that bring you a cider made from America’s first apple? Roxbury cider is named from the Roxbury Russet apple, which was discovered in 1630 on a piece of land that is now called – you guessed it – Roxbury. The brewers spend their time hunting down these particular apples to bring you this cider. They make other great ciders, don’t get me wrong, but this one is by far my favorite. It is crisp, clean, not too sweet and not overly carbonated. My friends that are wine drinkers love this cider. Hopefully, they love it when I tell the story of the Roxbury Russet, as well. It seems like forever since I had my first Wunderkind from Bantam Cider, the company’s first offering when it opened in 2012. It is still a benchmark on what a cider can and should be. Use local apples, a hint of honey and a chosen yeast strain fermented slowly to bring out the flavors in a well-balanced offering. I still order this from time to time; however, there’s a limited-edition offering that is worth seeking out. The barrel-aged dry cider contains heirloom varieties that I cannot begin to pronounce or spell, but I can tell you that they are French, flavorful and fancy. The brewers ferment the pressings with a mixture of wild and proprietary yeast and then age them in a mixture of bourbon and rum barrels. The result is a cider that smells like a crisp, sweet, sliced apple sitting alongside a glass of rum. It changes as it warms, with the bourbon and apple taking a more dominant role in the aroma. The taste is quite dry. This cider is so complex, each sip and each whiff of its aroma are slightly different. Cider Creek Hard Cider / Canisteo, N.Y. I have had the opportunity to experience a variety of Cider Creek’s ciders in cans, bottles and on tap. When I say variety, I mean it. Other than the traditional Farmhouse Cider, there’s Cascade Aprihop, which is the base cider with an apricot puree added then dry-hopped with cascade hops, and to really push the envelope of what a cider can be, Tres Dedos de Sidra. This is a blend of pineapple cider aged in Mezcal barrels for one year and pineapple cider aged in 50-year- old Caribbean rum barrels for one year and finished with coconut hibiscus tea leaves. It was released on Cinco de Mayo. Cider Creek offers many other varieties to choose from; however, I keep returning to the first cider I ever tried from this company, Saison Reserve. It is simply the Farmhouse Cider fermented with a strain of Belgian beer yeast to add an element of spiciness and the different fruit flavors that that yeast brings. If you purchase the bottles or cans, be sure to roll them a few times on their side to get the yeast from the bottom and into suspension. You want the yeast in your glass. There is pumpkin everything else, so I guess someone had to make a pumpkin cider. On a serious note, the brewers do things the right way here. “Simple, Honest, Authentic” is Downeast’s motto. I have never had a cider from this brewery that did not knock my socks off. The unfiltered Original Blend is just apples and yeast – that’s it. The Cranberry Blend adds cranberry juice, and the Pumpkin Blend adds – you guessed it – fresh pumpkin. My favorite of all of them though is the Maple Blend. Real maple syrup goes into this one. It’s wrong that it reminds me of apple pancakes on Sunday morning, but I’ll get over it; it’s that good. There is also a Winter Blend, with real cinnamon bark and nutmeg, and a Summer Blend, with lemon juice and ginger peel. All of it real, with no flavorings or additives.